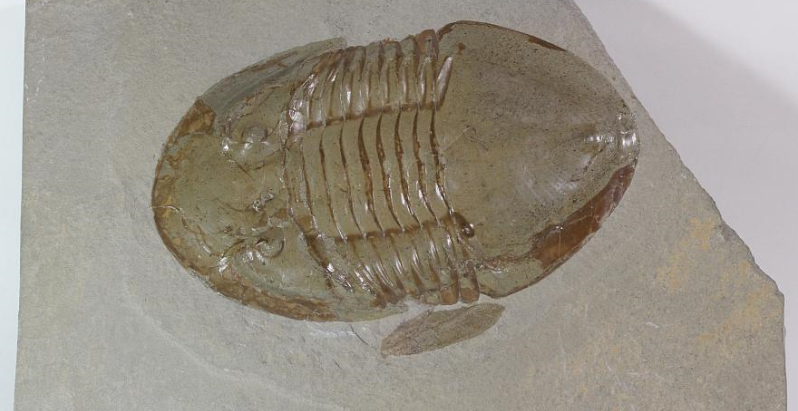 Large, intact trilobite specimen with the cephalon (head), thorax and pygidium visible. Approximate size: measures 16.6 cm long by 9.8 cm wide. 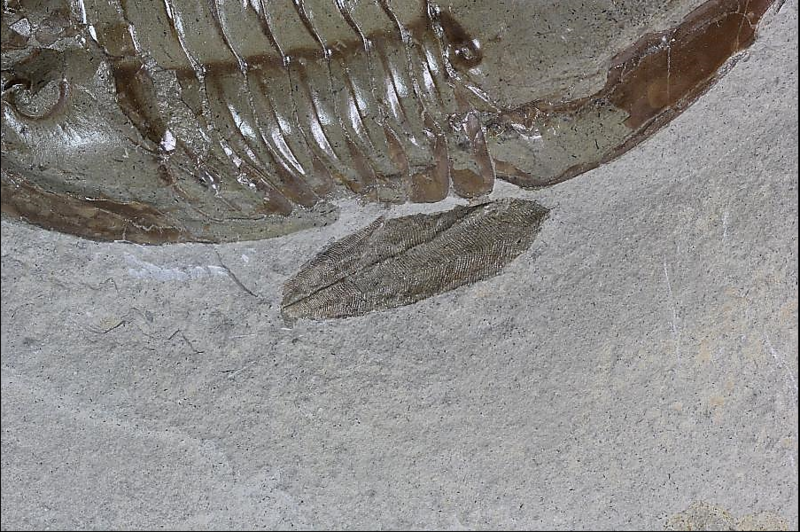 Positive (compression) and negative (impression) sides of the fossil. The positive is on the right in the photograph. 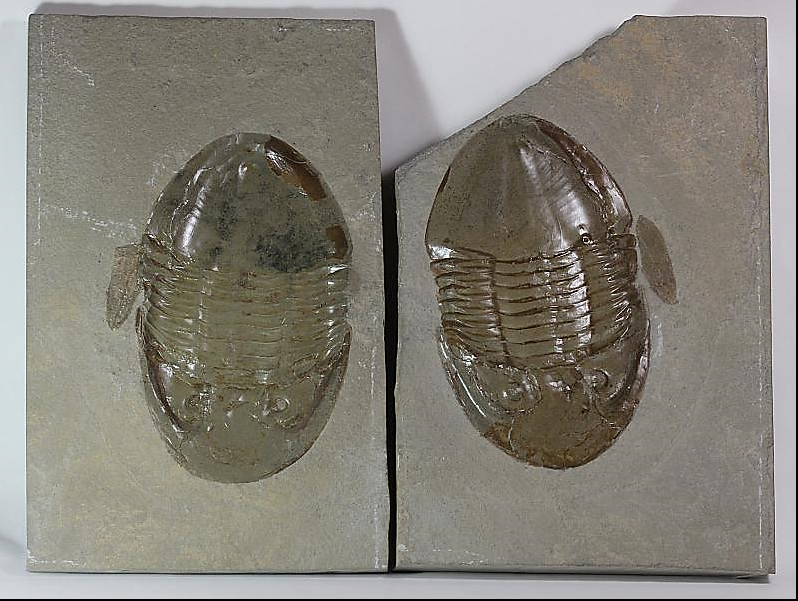 Conularia (4.4 cm long by 1.3 cm wide) located next to the trilobite.